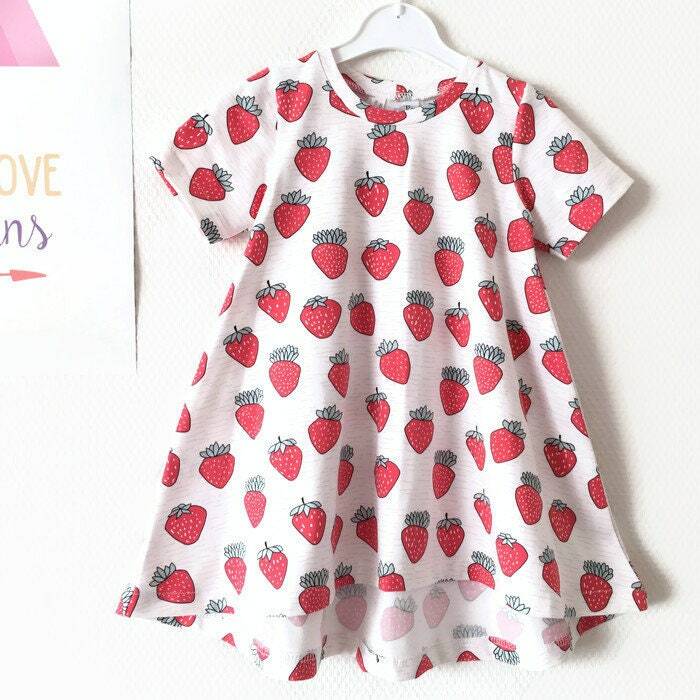 Organic cotton dress with strawberries. 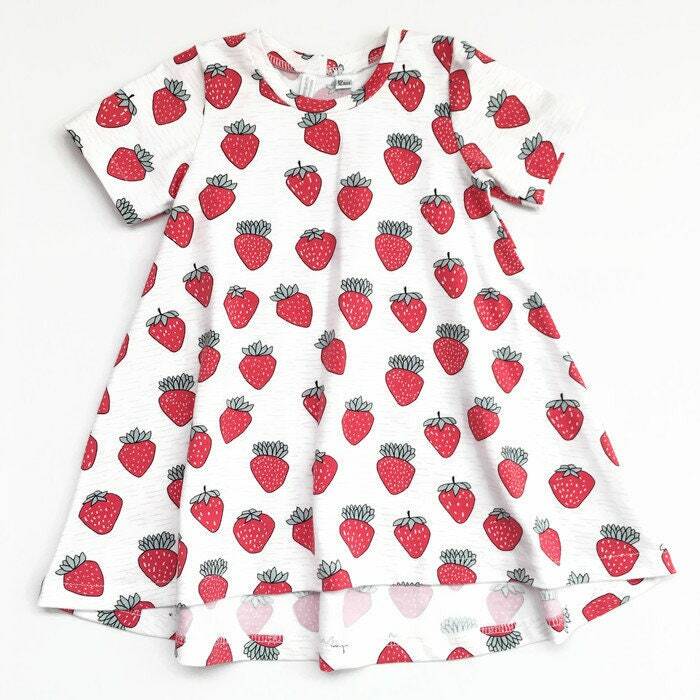 This organic cotton summer dress will become probably become your girl's favourite! 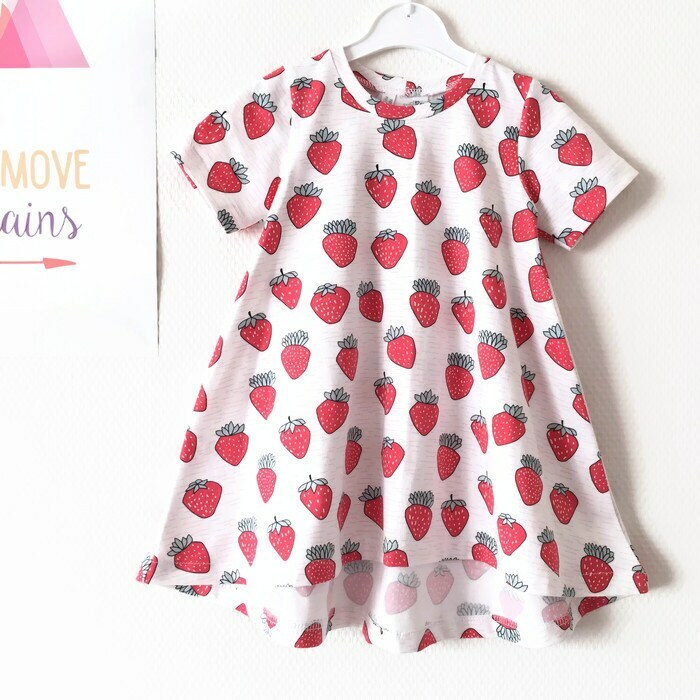 The tshirt dress is super cute, with strawberries on a white background. All seams are serged for strength and durability. Care instructions: wash inside out on low temperature, do not tumble dry.